Just bought and downloaded The Cuckoo's Calling by JK Rowling (as Robert Galbraith). I skipped her dreary first (adult) novel since the husband read it first and didn't really enjoy it, but I have a feeling that this is going to be very different. The husband and I have developed a minor addiction to HGTV, and especially to " Love It Or List It". We have marathons of LIOLI than sit there fantasizing about home renovations. I also may have a small crush on Eddie the contractor. Lots of Laura Mercier. The new primer is fantastic. Also, tone-on-tone natural looking eye shadows, and all the cream blushes I have. 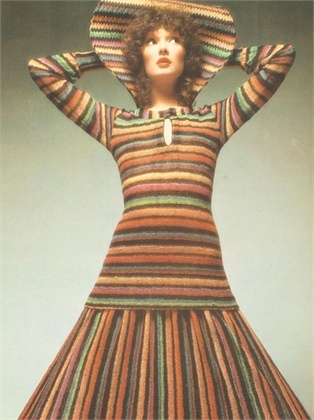 Jersey dresses. Can't wear anything else in the heat. Homemade pizza. It was totally worth heating the oven to 500 degrees. The weather. Miserable doesn't even begin to describe the heat and humidity we've had here for weeks, and there's no end in sight. The royal baby, what else? 1. So sad about Cory Monteith. While I lost interest in Glee after the first season, Cory was wonderfully talented. I looked forward to seeing him play characters over high school age. 2. Gummy vitamins for adults are the best thing ever. Why didn't I realize it ages ago? What are your loves, banes, recommendations and thoughts these days? Please share! 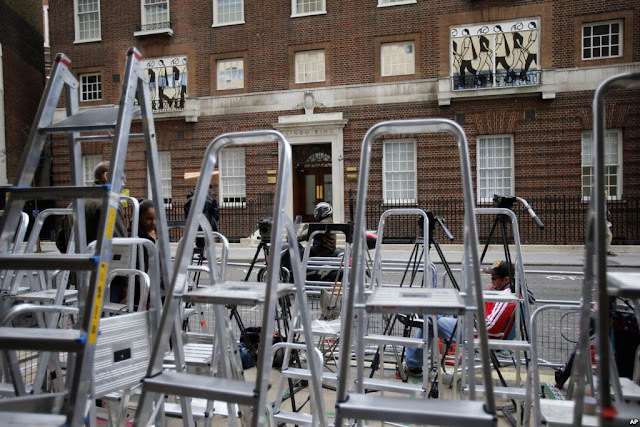 Photo: The media area outside the Lindo Wing of St. Mary's Hospital, London, where our favorite Duchess is expected to give birth soon. Via bbc.co.uk. And...the first big crop of apricots from my 5 year old tree. ...looking forward to my rescue dog I'm adopting this weekend. Not so much. Considering dumping cable for youtube.. Despite the heat and the (for LA) humidity, Kewdra and Musc Botanique. Polo shirts and madras shorts. Apples dpn't fall far.. Anything from Trader Joe's. Love the enchiladas. Book: Back Fire--It's one of Catherine Coulter's FBI series. Music: Lots of Nox Arcana and Midnight Syndicate--I'm making a new mix of Halloween mood music. TV: Master Chef--Although this year I think the talent is pretty slim in comparison to previous years. Makeup: Keeping face and eyes neutral with Guerlain or Tom Ford; then adding a pop of color like Dior's Diablotine on the lips. Frequently worn: For day, sleeveless tops, cropped pants, and sandals. It's been very hot and humid this past week. Joy: Bastille Day dinner and celebration at a friend's French restaurant. Anticipation: Guerlain's fall collection Voilette de Madame. 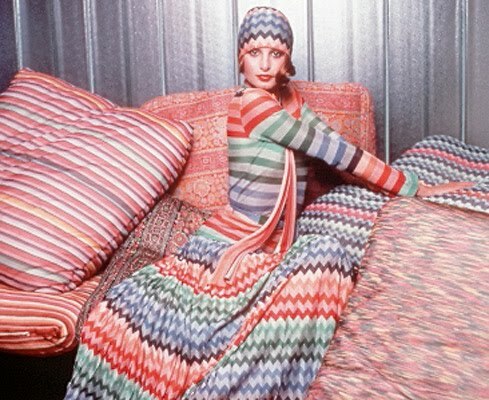 Random thought: Why on earth did Chanel decide to release Superstition before Les Beiges in the US? Superstition's late June release was ridiculously early and Les Beiges has been out in other countries for months. At this point, it's old news. Music: Lonerism by Tame Impala, esp. Apocalypse Dreams. It's now hard-wired into my limbic brain. TV: Still wallowing in post-Mad Men depression. Perfume: Aqua Motu. Labyrinth Libertin. Amoureuse. Makeup: None really. Just some Ole Henriksen cucumber face tonic. And Palmer's lip balm. And Kai body lotion. And a real tan. Frequently Worn: cargo pants and UGA t-shirt. Food: Heirlooms from my garden. Yellow Brandywine, Black from Tula, Cherokee Greens, etc. Bane: The Zimmerman trial. And esp. the outcome. Joy: My cats chasing butterflies in the garden. Anticipation: Yes, the new royal baby! And in keeping with the UK theme, the Open Championship starting Thursday at Muirfield. Yay. Something fun and trashy from the dollar store..
Re runs of The Sopranos on HBO signature & True Blood Sunday nights. I too am reading J.K.Rawling' s book. I really lije it. She is a great writer. Also, so sad about Cory Monteith! I second your comment on the vitamins. I don't know how they expect people to swallow those giant horse pills without choking!